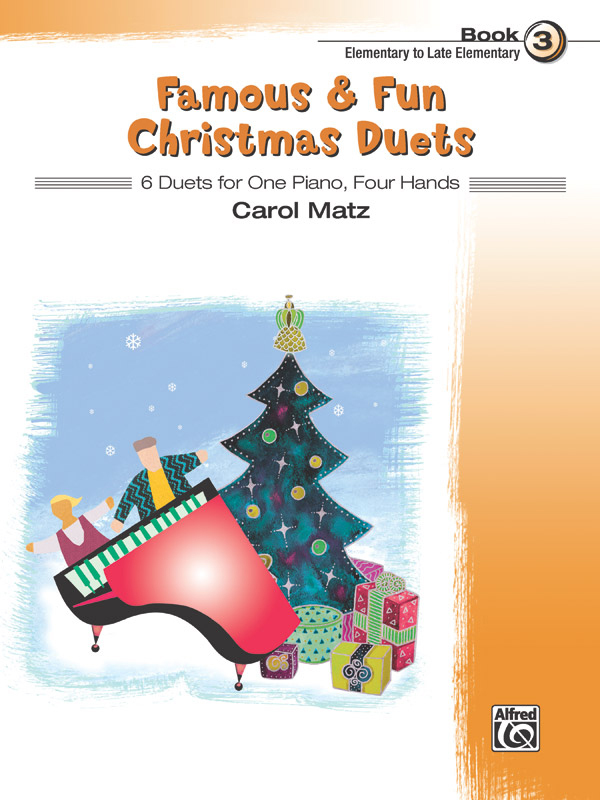 * Famous & Fun Christmas Duets, Book 3, contains 6 timeless carefully graded elementary to late elementary Christmas-season favorites. * These works have been artfully arranged and balanced for two evenly skilled players. * Titles: Dance of the Sugar-Plum Fairy (from The Nutcracker), Deck the Halls, Ding, Dong, Merrily on High, Silent Night, Ukrainian Bell Carol, We Wish You a Merry Christmas.